I'll be the first to admit, I'm not too strong with skincare. 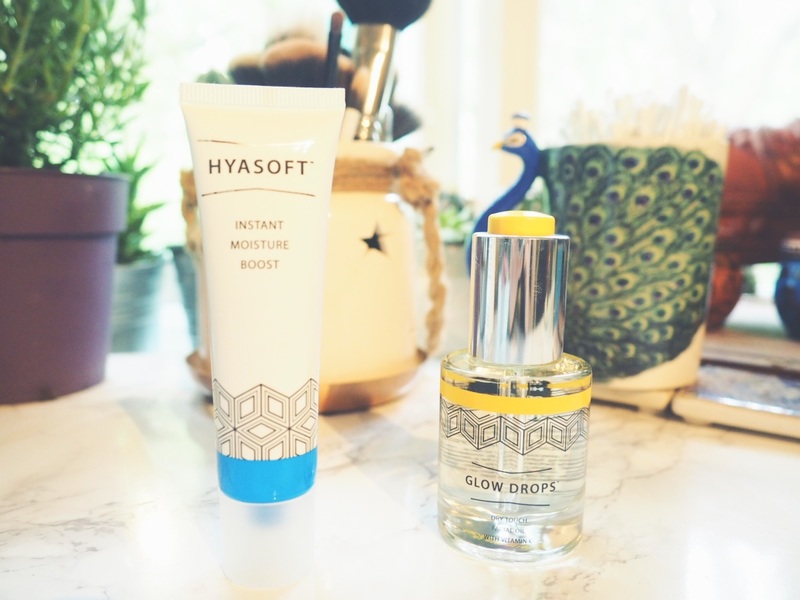 The Hyasoft moisture boost is exactly what it says on the tin tube; an awakening and refreshing boost that should accompany your morning fix of caffeine to get you ready for the day. Well, it doesn't exactly say that on the tube, but it definitely should. It's a silky, clear gel with multi-weight hyaluronic acid & vitamin B5, which helps rehydrate tired and worn out skin that has been ruined by the elements (aka. this harsh, entirely unpredictable British weather). As someone who suffers from dry patches of skin in both the winter and summer, I've been reaching for Hyasoft continuously over the past few weeks. Personally, I find I have to apply it quite generously across my face and neck but it does sink in impressively quickly, which means it's ideal to slap on in the morning before my usual make-up routine. HOLY COW! I cannot contain how much love I have for this product. It has been an absolute game changer when it comes to my skincare routine. As someone who suffers with combination skin (dry patches here and there followed by a whopping greasy forehead), finding facial skincare products can be a pain in the bum, quite frankly. In all honesty, I usually avoid oils simply down to the fear of them leaving my skin overly greasy and shiny. However, I've seen no excess oil from these Glow Drops but instead they've given my skin a little boost and radiance in the mornings, which is something that is desperately needed after my five hour sleep routines right now. It comes with a little pipette that is attached to the lid, which helps distribute the product properly without any waste as you really only do need a few drops. You simply push the yellow button on the top of the lid to draw the oil into the tube, which is also a bit of a novelty in itself! I would recommend using it sparingly as a little really does go a long way with this product.